It was 1870, when the logging industry in northern Wisconsin began moving farther inland from the bay to find new forest areas to cut. As the movements continued, small communities began to develop along the rivers to serve the needs of the logging industry. In 1877, in the town then known as Armstrong, it was one of these places that the community of Mountain had its beginning. As time passed, more of the large lumbering companies moved into the area resulting in the railroad being built in 1889, which then brought more business to the community. In the early 1900’s after the forests were no longer able to support the logging industries, Mountain shifted from a logging community to an area interested in developing farms and businesses. Also during the early 1900’s the large Town of Armstrong was divided up into three smaller towns named Doty, Riverview, and Armstrong. In August of 1997, the town name of Armstrong was changed to the present day name of Mountain. Today, the Town of Mountain is a community that contains many seasonal residents. 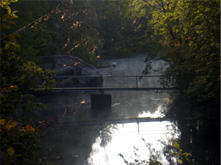 The forests along with the town’s various lakes and streams cater to the many tourists and recreational enthusiast that frequent the waters. 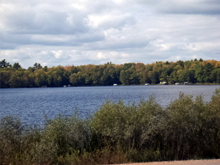 The Town of Mountain presently encompasses an area of 72 square miles, or 46,473 acre’s and is located in the northern portion of Oconto County. 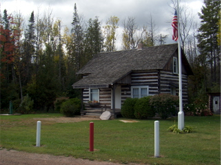 Approximately 35,336 acres of land in the town are part of the Nicolet National Forest. Mountain is an unincorporated community located at the crossroads of State Highway 32 64 and County Highway W.